At Picture Parade, Sheffield, we are called upon to frame a wide range of items, all of which have their own particular requirements. These include: pieces of original art; photographs; embroideries; sporting memorabilia; medals and much more. We pride ourselves on the quality of the materials we use, as well as the choice which we provide for customers. We offer a wide choice of mouldings, which range from traditional to contemporary styles. Which Type of Glass Would You Like? 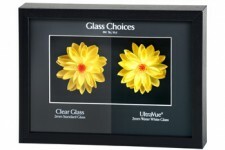 Here at Picture Parade, Sheffield, you decide which type of glass you would like. 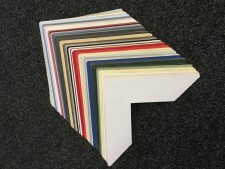 Check Out Our Mountboard Colour Range! All of our mountboard we use here at Picture Parade is Acid Free and Whitecore. All mounts are professionally handcut in our workshop meaning we can cut your mounts to any size you need. In our Gallery, situated at 36 Bridge Street, Killamarsh, Sheffield S21 1AH, not only do we stock original paintings, we offer a broad range of Limited Edition and Open Prints, with 100's in stock. We also stock a wide range of local views, which are supplied mounted, framed or unframed. Do you want to learn an exciting way to paint in oils? Never painted before and would like to try? We have the class for you! Bob Ross `wet on wet` Technique. Click on the Bob Ross image to find out more. Keith Fish teaching the Bob Ross Oil Painting Technique now on facebook. Click here to see my page. All rights reserved. ® The Bob Ross name and Bob Ross images are registered trademarks of Bob Ross Inc. Copying and reproducing of any graphics from this website is strictly prohibited.